The Ecrehous are just 15 minutes away on our fast RIB. It's host to a large diversity of marine wildlife and many bird species. 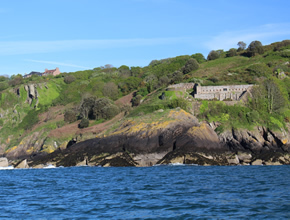 During our wildlife boat trips, there is an opportunity to sea dolphins and grey seals and have time ashore to explore, swim in the crystal clear waters, picnic or just relax and take in the breath taking views. The port of Carteret is a busy fishing and sailing harbour with a seasonal market held on a Thursday morning selling many local produce including tasty country cheeses, fish, fruit and vegetables. Indulge yourself in lunch or dinner in the easily accessible restaurants offering Moule Frites, platters of "Fruit de Mer", traditional French cuisine and Michelin star fine dining! The yellow sandy beach that overlooks Jersey, is the perfect setting to enjoy a family outing and for walkers there are several coastal trails to explore. THE TRIP OF A LIFE TIME IS JUST A BOAT LENGTH AWAY! Embark on a Voyage of discovery aboard one of our 12-seater RIBs to Les Ecrehous, Les Minquiers, Sark, Herm, Carteret or Chausey. 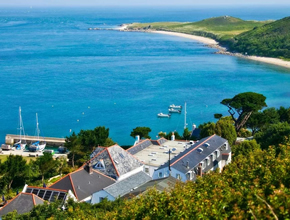 Soar across crystal clear waters, marvel at breath-taking sandbanks, Dolphins and seals. 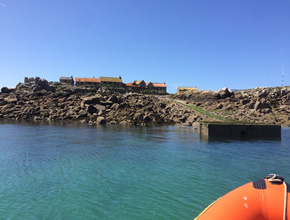 We can customise our boat trips for team building events, private or corporate charters, lunch or dinner in Carteret or Chausey, or just relax in one of our offshore reefs, we have a trip for everyone. 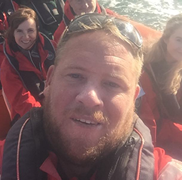 If you are looking to improve your powerboating skills, we have the RYA course for you. Either on your own boat or on our dedicated training Humber Ocean Pro 6.3M powered by a Mercury 150HP. The Ecrehous are just 15 minutes away on our fast RIB. It’s host to a large diversity of marine wildlife and bird species. During our wildlife trips, there is an opportunity to see dolphins and grey seals and have time ashore to explore, swim in the crystal clear waters, picnic or just relax and take in the breath taking views. Indulge yourself in lunch or dinner in the easily accessible restaurants offering Moule Frites, platters of "Fruit de Mer", traditional French cuisine and Michelin star fine dining! The yellow sandy beach that overlooks Jersey, is the perfect setting to enjoy a family outing and for walkers there are several coastal trails to explore. Herm has no cars, no crowds and definitely no stress. It is the perfect place to visit for a truly relaxing pressure free time. Ideal for families and anyone wanting to get away from it all. 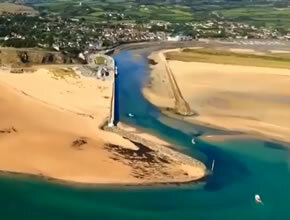 Take in the spectacular views of neighbouring islands and the French Coast. Perfect for that relaxing day. Chausey is not known for its boutique shopping or nightlife, but for its nature, foraging for shellfish or simply sitting on the shore and looking at the tide rise and fall. With one of the biggest tides in the world, Chausey is a must on everyone’s Itch List. Chausey boasts one hotel and two good restaurants. Les Minquiers are one of the wonders of the natural world. 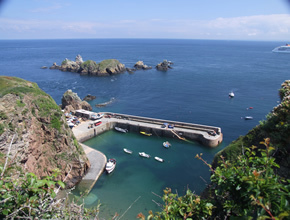 At over 300 km2 the reef is larger than most British cities with Jersey a mere 81 km2, and is home to some of the most extraordinary scenery, wildlife, geology and archaeology anywhere in Europe. This trip takes you in and out of the bays stopping along the way to absorb some of the historic sites. 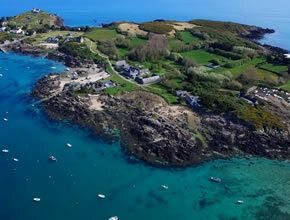 Rozel bay, Bouley bay and the black dog legend, Bonne Nuit where the Governor's summer residence is, and Devil's Hole. We take you inside Devil's Hole cave - where we may have to sacrifice one or two passengers!!!! 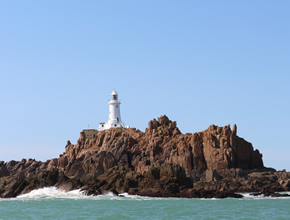 From the decapitation of Helier, see up close where the Roebuck sunk and the first UK concrete lighthouse, and hear about the adventure of Louisa Journeaux who was lost at sea only to be found a month later, alive or not... Join us on this historic trip around the south coast of Jersey. We can customise our trips for team building events, private or corporate charters, lunch or dinner in Carteret or Chausey, or just relax in one of our offshore reefs, we have a trip for everyone. All of our skippers are at a minimum RYA Yachmaster Coastal for both power and sail commercially endorsed. All with many years of experience in local and coastal waters. Skippers and crew are here to provide you with the best boating experience possible, without compromising on safety. Mario Setubal - Anything that goes fast! RYA Yachmaster Coastal Skipper and Powerboat Advanced Commercially Endorsed for Sail and Power. Rob Viney - In search of sunshine! 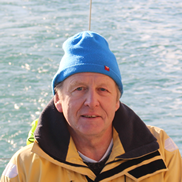 Mick Robbins - Are we motor sailing again!!! Humber RIBs are recognised as very robust vessels within the commercial market. The spectrum of applications of Humber RIBs ranges from support and logistical craft to military, passenger and survey vessels. For two decades these RIBs have enjoyed the ultimate accolade as the 4 x 4 of the Ocean. It is our preferred choice, and Humber RIBs have engaged in extensive and rigorous operations. Drop tested from 5.5 meters, self righting in 15 seconds, heel tested and excessively over loaded to more than double stated capacity in stability tests, all sections were passed with honours. The Island Voyager is a Humber Offshore 10M with Twin Evinrude G2 200HP High Ouput. Capabale of speeds over 50 knots without passengers. The Defiant is a Ocean Pro 6.3M with a 150HP Mercury and it's our dedicated RYA training boat. Currently, we are qualified to teach Powerboat Level 1 and Powerboat Level 2. We pride ourselves on providing superior service but you don't just have to take our word for it. 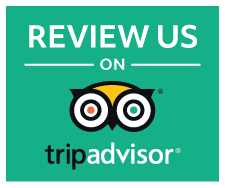 Just read some of the reviews that our clients left us on trip advisor and facebook. Very well organised trip with fantastic views. Mario our guide was a true gem and we were amazed by not only the islands but dolphins and seals. Once out on the Ecrohous islands we had time for a swim and a quick snack before heading back to St Catherine's harbour where we were treated to a few fast spins in the boat. A truly memorable and value for money trip and strongly recommended. 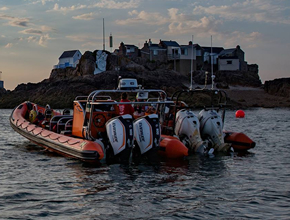 I have used Island RIB Voyages several times over the past two years and have enjoyed trips to Carteret, Sark, Les Echreous and Herm. Fabulous every time. I have always fancied driving my own RIB. 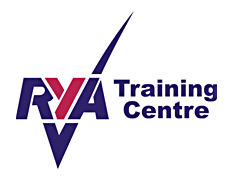 Imagine my delight when I spotted on their website that they have just become an accredited RYA training centre. Because I am retired I can be very flexible with my time and expressed my wish to take part straight away. 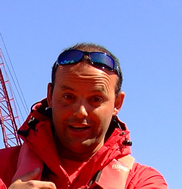 Mario duly enrolled me in one of his earliest Powerboat 2 courses. 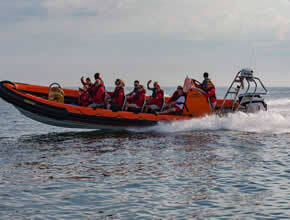 I have to say it was absorbing and demanding but I felt that I came away with a sound grounding in how to drive a RIB. The course was delivered with a wealth of professional knowledge and fair and developmental encouragement, laced with great humour. It was a thoroughly enjoyable two days, full on. I learned something new at every stage, even though I have been boating all of my life. What a superb experience! Alongside the comment above my eight year old added that it was the best experience of her life and though I'm 40 I have to agree - it's certainly up there! We took the two hour trip to Ecrehous and - though it was interesting to see this island - by far and away the highlight was the boat. Travelling at speed with sharp turns as we headed home was amazing. It was lovely to see the seals and moreover - how special to see a few different pods of dolphins. Wow. The crew were just simply lovely. We had a party of 5 ranging from 8 to 70 and with all of us they were great. Thank you! I cannot recommend this more and would certainly repeat if we return to the island. I was nervous beforehand having never tried anything like this but I was so glad I did. Thank you island RIB voyages! One of our best trips out ever. Friendly crew, lovely boat with waterproof and life jacket provided, good saftey briefing. An exhilarating ride out to the Ecrehous Islands, where we spotted a number of seals swimming around and basking on the rocks. Crystal clear waters, allowed for a paddle or swim (we took wet suits as not so brave) so spent some time floating out with the running tide. On the way back we spotted a Pod of dolphins, so slowed and tracked them for a while. It was a mid size Pod with young and was amazing to see, especially when some of the adults decided to come and investigate the boat. Certainly one of my top 5 trips out ever, I would strongly recommend. Most likely my best trip ever in the Channel islands. Will be looking at other outings with them for the future.